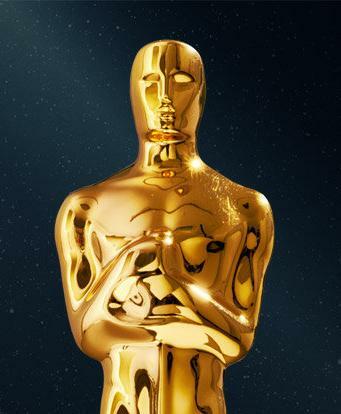 Nominalizari pentru Oscar in 2013 vor fi publicate pe 10 ianuarie 2013. Pana atunci se fac speculatii, predictii. Stam cu emotii daca la categoria "Cel mai bun film strain" ar intra si "Dupa dealuri / Beyond the Hills", regizat de Cristian Mungiu. "Amour", ''Argo", ''Beasts of the Southern Wild", ''Django Unchained", ''Les Miserables", ''Life of Pi", ''Lincoln", ''Silver Linings Playbook", ''Zero Dark Thirty". Bradley Cooper ('Silver Linings Playbook'); Daniel Day-Lewis ('Lincoln'); Hugh Jackman ('Les Miserables'); Joaquin Phoenix ('The Master'); Denzel Washington ('Flight'). Jessica Chastain ('Zero Dark Thirty'); Jennifer Lawrence ('Silver Linings Playbook'); Emmanuelle Riva ('Amour'); Quvenzhane Wallis ('Beasts of the Southern Wild'); Naomi Watts ('The Impossible'). Alan Arkin ('Argo'); Robert De Niro ('Silver Linings Playbook'); Philip Seymour Hoffman ('The Master'); Tommy Lee Jones ('Lincoln'); Christoph Waltz ('Django Unchained'). Amy Adams ('The Master'); Sally Field ('Lincoln'); Anne Hathaway ('Les Miserables'); Helen Hunt ('The Sessions'); Jacki Weaver ('Silver Linings Playbook'). Michael Haneke ('Amour'); Benh Zeitlin ('Beasts of the Southern Wild'); Ang Lee ('Life of Pi'); Steven Spielberg ('Lincoln'); David O. Russell ('Silver Linings Playbook'). 'Amour' (Austria); 'Kon-Tiki' (Norvegia); 'No' (Chile); 'A Royal Affair' (Danemarca); 'War Witch' (Canada). Chris Terrio ('Argo'); Lucy Alibar şi Benh Zeitlin ('Beasts of the Southern Wild'); David Magee ('Life of Pi'); Tony Kushner ('Lincoln'); David O. Russell ('Silver Linings Playbook'). Michael Haneke ('Amour'); Quentin Tarantino ('Django Unchained'); John Gatins ('Flight'); Wes Anderson şi Roman Coppola ('Moonrise Kingdom'); Mark Boal ('Zero Dark Thirty'). 'Brave'; 'Frankenweenie'; 'ParaNorman'; 'The Pirates! Band of Misfits'; 'Wreck-It Ralph'. Cand va avea loc a 85-a editie a Oscarurilor? Oscarurile vor fi acordate pe data de 24 februarie 2013.